Whether it’s a small office party or a corporate get together with 300 of your employees, we can take care of you for the seasons! 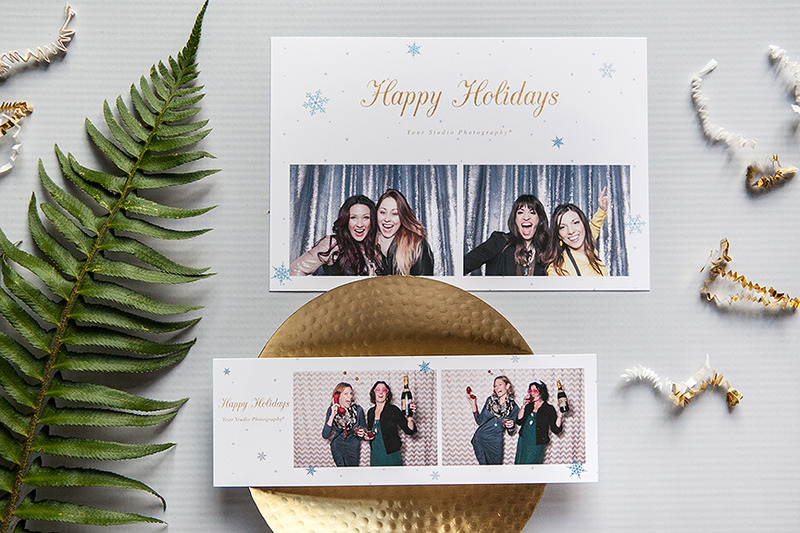 Get smitten with our holiday photo booth style as we provide you with all the necessities for all the cheer you’ll need. need some extra festive spark for your holiday party? Simple. Add a photo booth and let the party start! We have all the customizations you'd need for your office celebration. It's the perfect way for all of your colleagues and boss to get together and jam out in our booth after you gorge on gingerbread cookies! You need some Santa hats and holiday bow ties? Maybe a reindeer headband to get you started? It’s all yours to pick from our holiday prop collection that we have for you. If you need any in-house customization, don’t be nervous to ask! We have great selections and themes that you can get designed for your “invite-only” bash! We have our standard 2x6” strip and 4x6” style options available for you! Pictures could be from 2-4 shots in each template. It’s up to you and according to the theme you have in mind. We’ll match your theme on our screen - compatible for all kinds of themed/holiday events! Halloween, fourth of July BBQ, Halloween, and New Years. Touch the screen buttons and start the party!